Our houseguest, Romaine, says she has a penchant for meat these days. 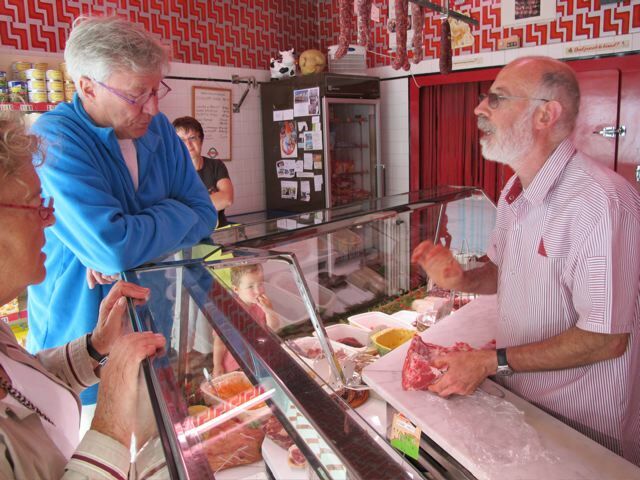 So off to visit Monsieur Fraisse, our butcher in Lautrec, in search of fillet of lamb for a marinade I’ve found. Meredith and I don’t eat meat that often. 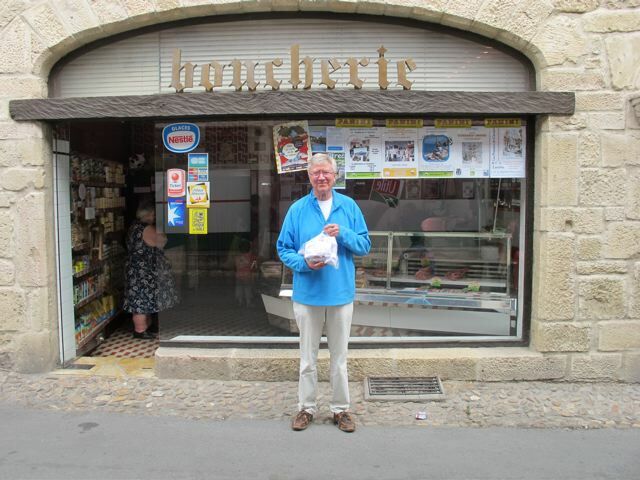 My knowledge of the finer points of French boucherie is limited. 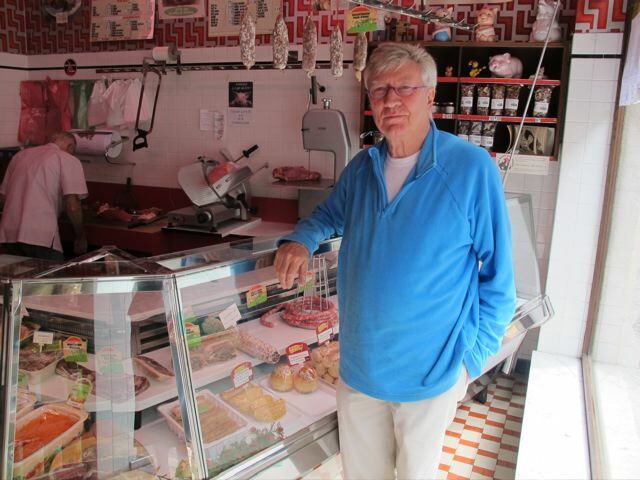 Monsieur Fraisse knows his meat. Like his father before him, he selects and buys locally. But our friend Romaine says she used to cook it in Cheshire, many moons ago–with Elizabeth David as a guide. As far as she remembers the fillet was a boned loin of lamb. It was sliced into neat nuggets she calls noisettes–a French word apparently not used in a French boucherie–at least not by Monsieur Fraisse. The English, the French and the Americans all have their traditional ways of cutting up meat–and their own terminology. It’s confusing, though from the way Monsieur Fraisse describes the cote de filet [chop] boned, it sounds much the same. We walk out–still confused–but clutching a bag of lamb to marinade and looking forward to dinner! 4 lamb chops or other small cuts! Whizz the last four ingredients together in a mixer and coat the chops in it in a bowl. Heat a griddle to hot and grill the chops for a couple of minutes both sides–the time will depend on your taste and the thickness of the chops. Seasonal vegetables like green beans or grilled tomatoes would go well with the chops. When you speak of a griddle do you mean a thing you cook pancakes on or do you use a grill- like a gas grill or charcoal grill? One of those heavy iron plates with ridges for grilling [grill pans?– not sure what you call them ] to place on the heat—-and heated up slowly . Made this last night when my mother-in-law came to dinner. Used lamb shoulder chops and served with polenta on the side. It was sensational! Thanks, Robin.